WASHINGTON—The on-again, off-again, summit conference between U.S. President Donald J. Trump and North Korean leader Kim Jong Un, is officially on-again. “We’ll be meeting on June 12 in Singapore,” Mr. Trump told reporters on the White House South Lawn, after meeting with Kim Yong Chol, vice chairman of the Democratic People’s Republic of Korea (DPRK) June 1, the highest ranking North Korean to visit the U.S. since 2000. The Singapore meeting itself, with or without any agreements will be historic. The two countries, South Korea, and China remain officially at war. A 65-year-old armistice, signed July 27, 1953 governs the cessation of hostilities, “until a final, peaceful settlement is achieved,” the document reads. High level, face-to-face meetings between the two sides are rare. North Korea’s allies China and Russia have both held their own recent high level meetings with Mr. Kim, who has also met with South Korean President Moon Jae In. In a meeting with Russia’s visiting foreign minister, Mr. Kim complained about U.S. behavior, including demands that the North Koreans agree to surrender all their nuclear weapons, as a pre-condition in order for the negotiations to be held. “As we move to adjust to the political situation in the face of U.S. hegemonism, I am willing to exchange detailed and in-depth opinions with your leadership and hope to do so moving forward,” Mr. Kim told Russian Foreign Minister Sergey Lavrov in Pyongyang May 31, according to published reports. Mr. Kim has also reached out to South Korea and China. Mr. Lavrov relayed President Vladimir Putin’s “warmest regards and best wishes” for Mr. Kim’s “big endeavors” on the Korean Peninsula. He also expressed Moscow’s support for an agreement Mr. Kim reached with Mr. Moon at a summit in May that focused on measures to ease hostilities and increase exchanges between the two Koreas. Mr. Trump has conferred via phone calls with Mr. Moon and with Japanese Prime Minister Shinzo Abe, as well as with Secretary of State Mike Pompeo, and Defense Secretary James Mattis who have met with leaders in the region. “One of our points of leverage—if you accept press accounts—is that Mr. Trump is seized with the idea that he may get a Nobel Peace Prize, and therefore match President Obama, which seems to be one of his major goals,” Dr. Gerald Horne, Moores professor of history and African American studies at the University of Houston told The Final Call, “that they may provide a kind of leverage to peace forces against Mr. Trump. “But in any case, it’s going to be very difficult for the North Koreans to agree to an accord, even if Mr. Trump makes significant concessions, because they see that Iran, which got significant concessions with Mr. Obama, but those were not enough for the succeeding administration, that is to say, that of Mr. Trump. And, now Iran is facing tightened sanctions, and if you accept the words of John Bolton and Michael Pompeo, the United States is interested in ‘regime change’ in Iran. All of that makes for a very negative atmosphere heading to Singapore on June 12,” said Dr. Horne. Since January, Mr. Kim has significantly toned down his rhetoric against Washington and Seoul and tried to reach out to them following a year of heightened nuclear tensions that saw increased fears of war on the Korean Peninsula. 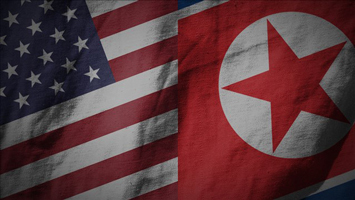 The North Koreans have indicated they are willing to relinquish their nuclear arsenal in exchange for security guarantees from the United States. But continuing differences between the two countries led Mr. Trump to abruptly cancel the planned summit last week, and then quickly announce that it might still be held as scheduled on June 12. “What concerns me is that Trump—the Mayberry Machiavellian—may think that he can take advantage of apparent contradictions between North Korea and China, to win over North Korea, the way that Nixon won over China in the 1970s, and thereby further pressure China,” said Dr. Horne. Why then should the North Koreans proceed? “Perhaps because they feel they can use Mr. Trump’s obvious personality weakness, in desiring the Nobel Peace Prize as a kind of leverage to make concessions. They may feel that if they get an agreement, the administration that follows Mr. Trump will not be to his right, and that it will be possible, therefore, to enforce that agreement on a succeeding administration,” Dr. Horne continued. Unlike the example of the Trump administration withdrawing the U.S. from the nuclear agreement between Iran, the U.S. and five other countries negotiated by the Obama administration in 2015. “So the North Koreans may feel that we’ve reached an important point with regards to the isolation of U.S. imperialism, and so therefore it might be possible to not only get an agreement that protects North Korean interests, but will insure that that agreement is enforced because of outrage in the international community about Mr. Trump, not least among so-called ‘allies’ in Western Europe, not to mention Russia and China,” he said. There is a basic gap between the North Korean and U.S. ground rules. To the North Koreans, de-nuclearization means de-nuclearizing the entire peninsula, said Dr. Horne, and that would include removing U.S. forces that number about 37,000 in the South. Those U.S. troops are thought to possess nuclear capabilities. With the Trump team, however, de-nuclearization means only: North Korea getting rid of its nuclear facilities.